NOW BOOKING SPRING & SUMMER EVENTS! 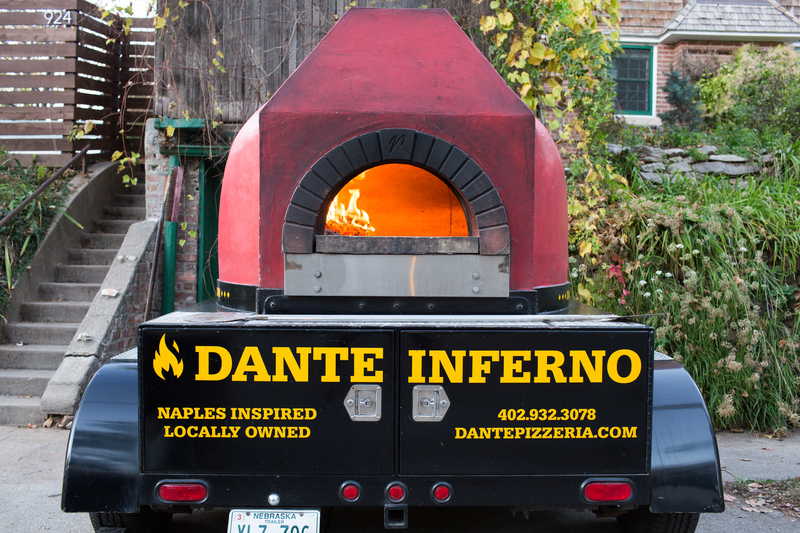 The Dante Wood-Fired Mobile Oven is the only authentic, Italian, VPN-Certified, wood-fired mobile oven in the Midwest. 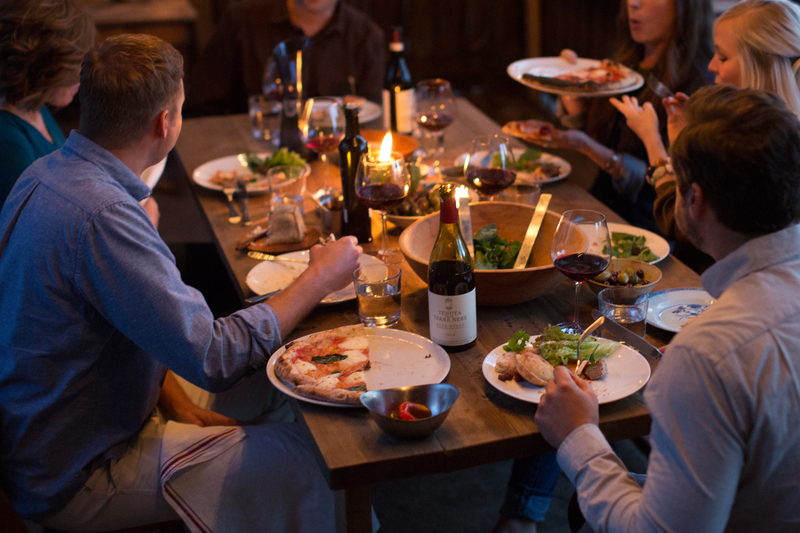 Chef Nick Strawhecker and his incredible team will cook up authentic, wood-fired Neapolitan pizza and rustic Italian cuisine onsite at your event with the open-air oven and pizza experience. Each pizza is created using our long-time local, farm producers and we work with you to ensure your menu and pizza order is defined by your needs and event. We are available for Weddings, Receptions, Graduations, Retirements, Birthdays, Anniversaries, Company Events, and Private Parties. 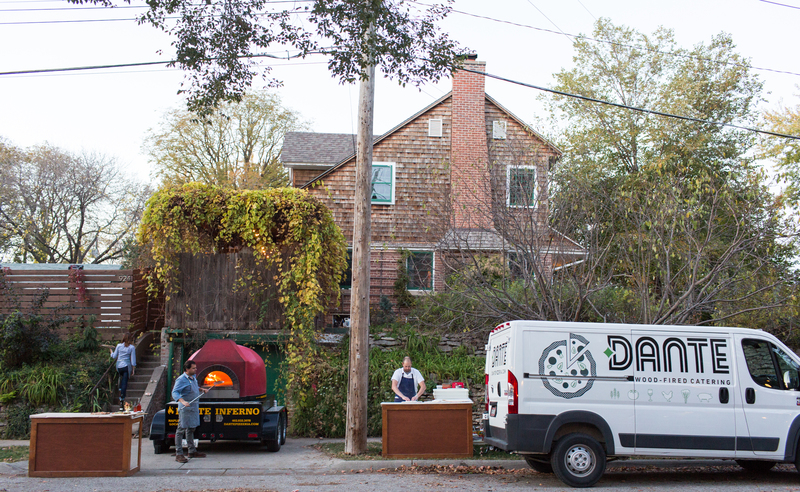 Let us roll in with our Wood-Fired Mobile Oven Catering and create a custom Italian menu based on your party needs. Take a look at our Catered Convenience Menu to see the many options – like our most popular option – our Pizza Trinity + Greens. 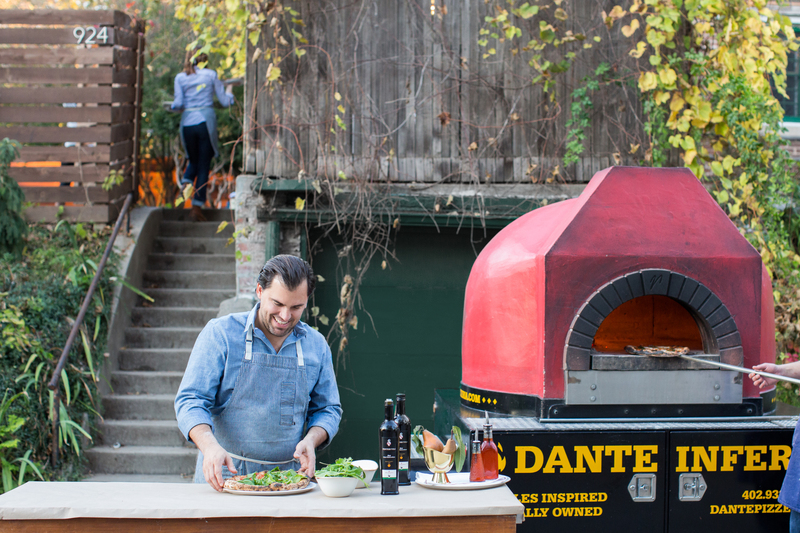 Contact us today to schedule the mobile oven: catering@dantepizzeria.com. Or Book Your Event Here!